2. No transport charges & No hidden cost. 3. Islandwide service with warranty. 4.Owners, tenants, property agents and contractors welcome. 5. New and re-conditioned air con units available too. 6.Other services include plumbing, electrical and handyman works. 7. Responsible, Reliable and Ethical service provided. 8. Best service and customer satisfaction guaranteed. JRS earned the Second Anniversary badge. 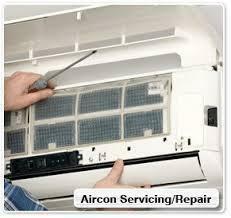 AIRCON SPECIALIST @ YOUR SERVICE !!! 4. Owners, tenants, property agents and contractors welcome. 6. Other services include plumbing, electrical and handyman works. JRS earned the Paging Mr. F badge. JRS earned the First Anniversary badge. JRS earned the You Look Familiar badge. JRS earned the First Post badge. JRS earned a promotion to Level 1.